Frank Croker was the second son of Richard Croker, a Tammany leader in New York City. Born in New York City, he attended Brown University with his elder brother, Richard, Jr. After leaving college, he started a business career, becoming a Director of the Atlantic Coast Realty Company, a Director of the Casualty Company of America, and the Secretary and Director of the Roebling Construction Company. While at college, Croker's love of athletics made him one of the best-known members of the class of 1901. He played on the class football team and on the varsity baseball team. 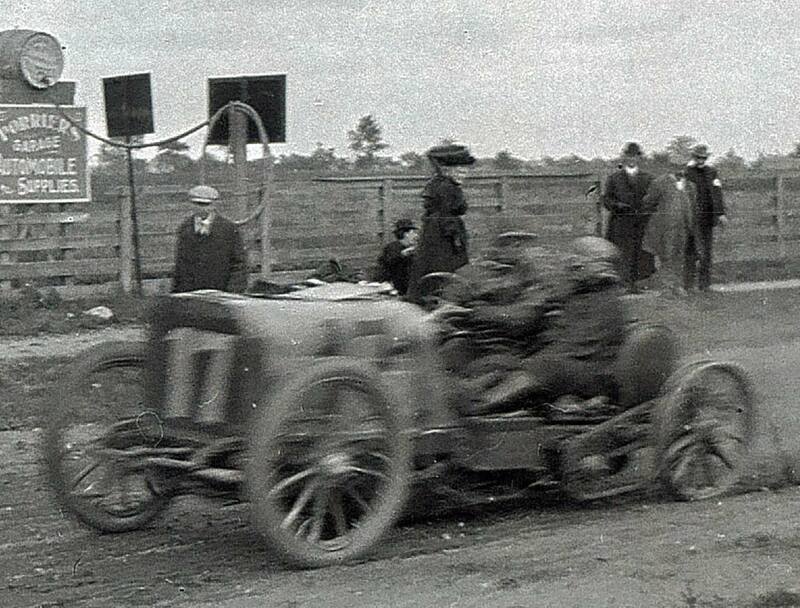 In 1903 he took up motor racing. 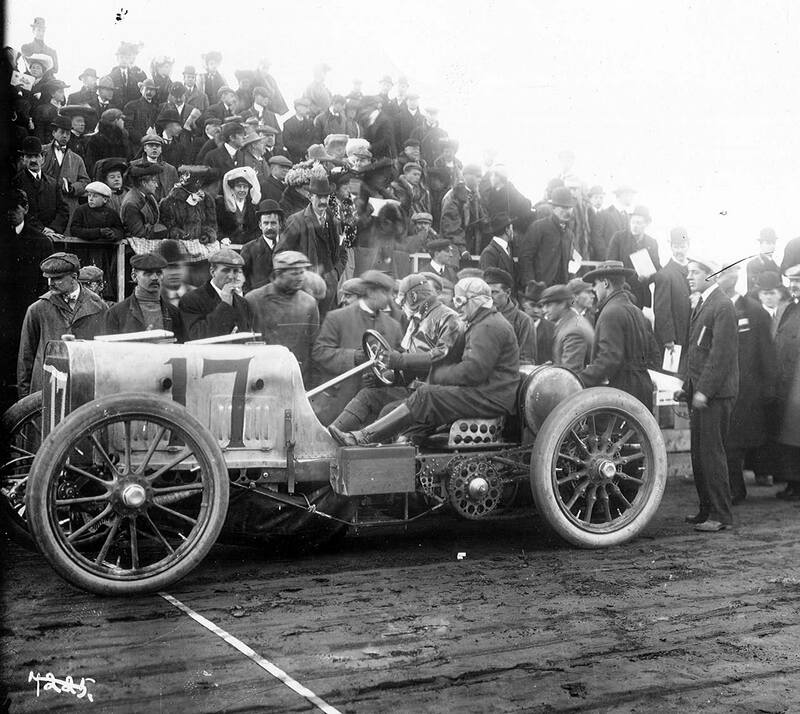 Frank Croker’s big moment as a race driver came in the first William K. Vanderbilt Jr. Cup Race in 1904 when the inexperienced driver seized third place in the first lap and held the position for the first 61 miles. 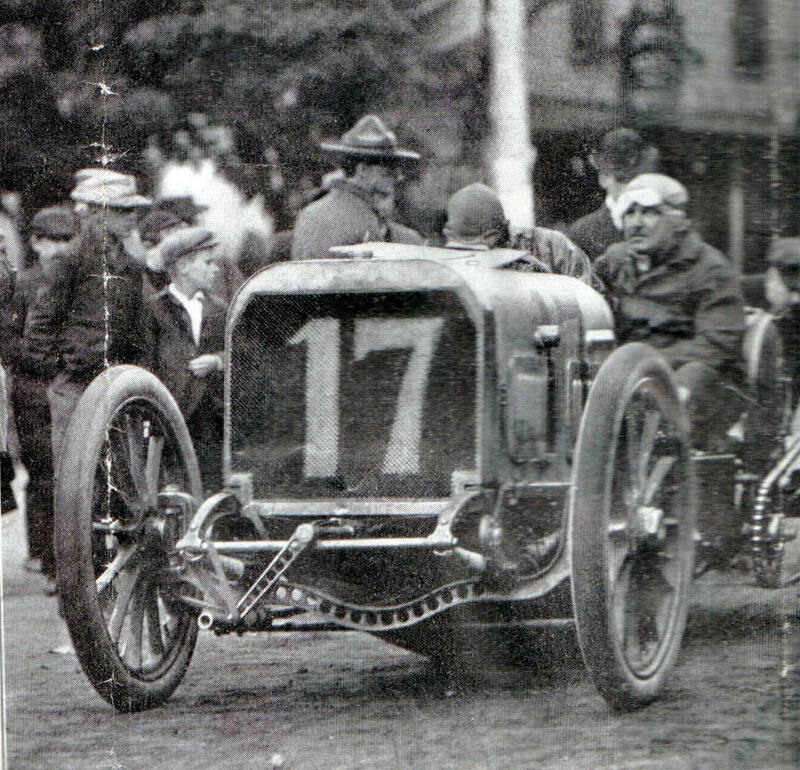 Driving the most powerful of the American entries, the 75-horsepower Smith & Mabley Simplex, Croker held an early race advantage over eventual winner George Heath. 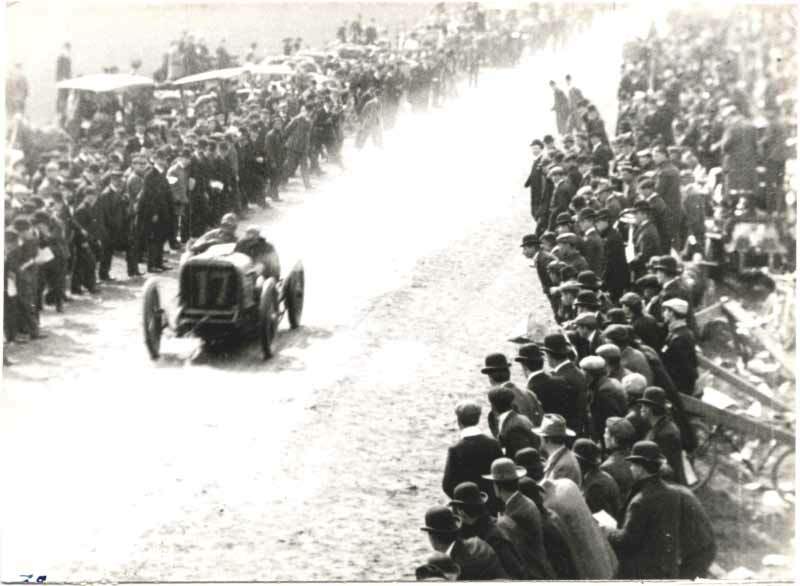 Indeed, he provided the Westbury Grandstand one of their biggest thrills of the day when he came across the line at the end of the second lap ahead of eventual second place finisher Albert Clement by 11 seconds despite starting 8 minutes later than the Frenchman. 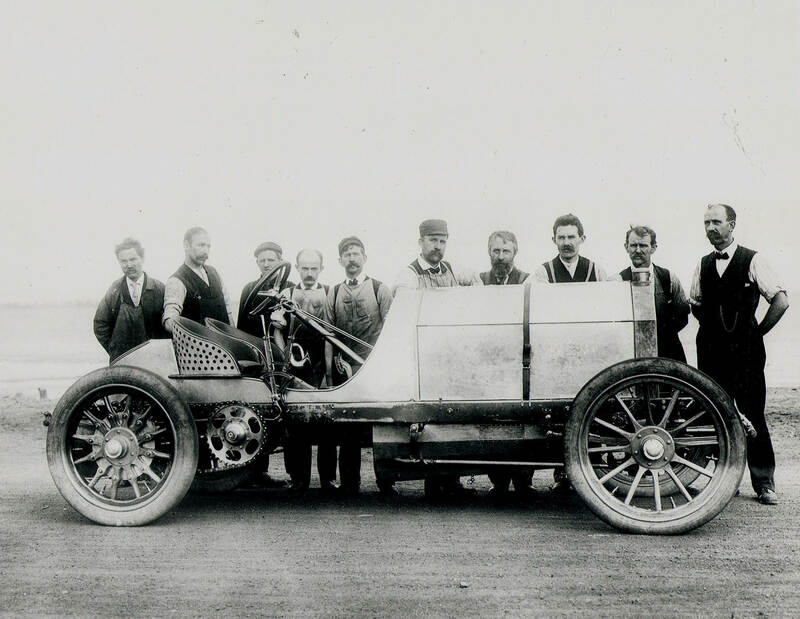 Croker, in his first serious automobile competition, looked capable of running with the best in the world. Despite an earnest effort, the hard-charging driver fell to 35 minutes off the lead and dropped to sixth place on lap 3 when he blew a tire at Jericho. 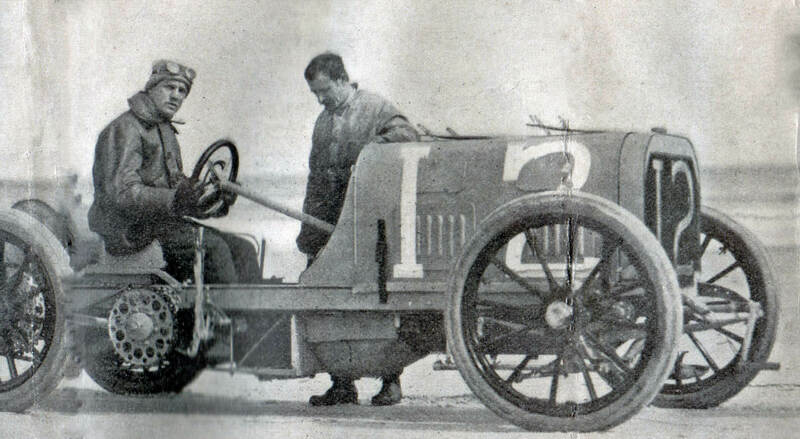 While he could have recovered from this setback, Croker’s real undoing was a sagging frame on his Simplex racer. The car had been deemed overweight during official inspection, exceeding the allowable 2,204 pound maximum and forcing mechanics to drill holes in the frame to meet regulations but weakened its structural integrity. The rough course took its toll on Croker’s Simplex. His race was punctuated by a series stops for adjustments to his drive train as the sagging frame tilted the transmission downward. 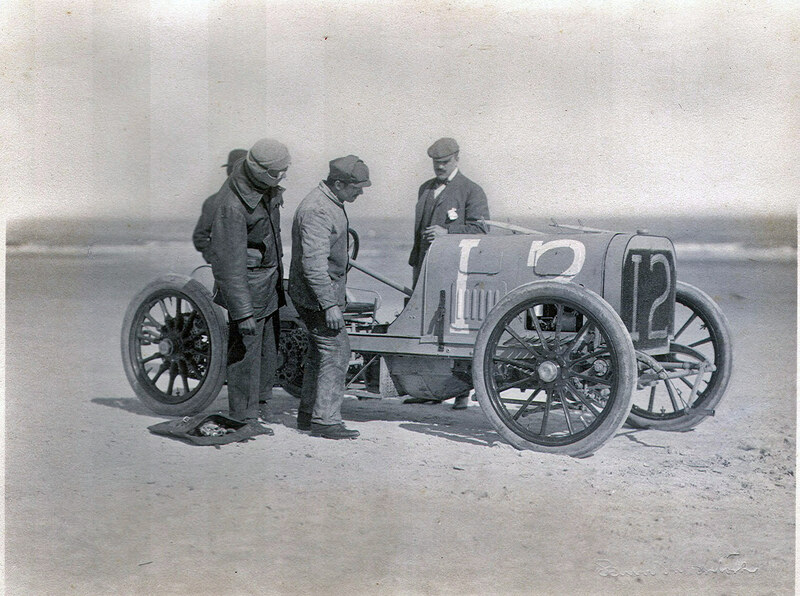 Slowed by his car’s condition, Croker won praise for his refusal to quit as he kept the machine in the race until the contest was stopped. He was on his seventh lap when flagged off the course. 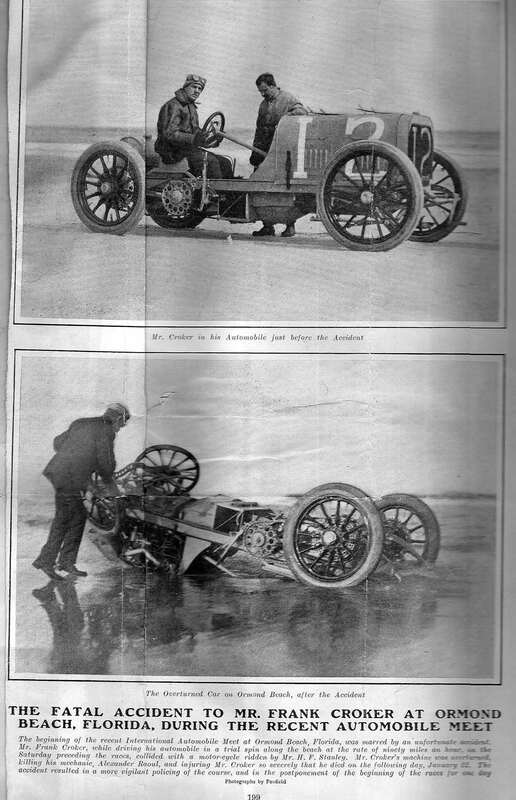 Hooked on racing, Frank Croker enlisted Smith & Mabley to repair his damaged racer after the 1904 Vanderbilt Cup Race. He then took part in races at the Empire City horse track in the Bronx. There he set new amateur track speed records for distances from 1 to 12 miles. 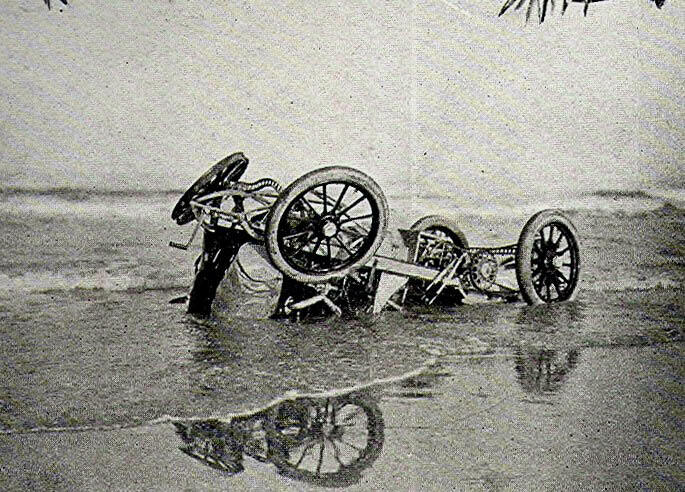 Frank Croker’s promising driving career was cut short when little more than three months after the Vanderbilt Cup Race on January 21, 1905 he was involved in a spectacular accident while practicing for that year’s Ormond–Daytona Beach automobile tournament. 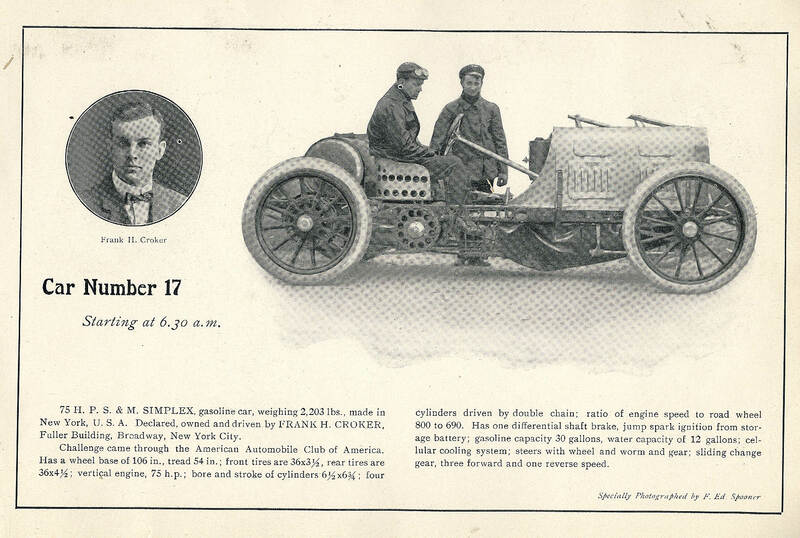 Again driving his Simplex, Croker was speeding the car when he approached a motorcycle ridden by Newton Stanley, a nephew of the Stanley Brothers of Stanley Steamer fame. Stanley, apparently unable to hear Croker’s approach, suddenly pulled in front of him to avoid an ocean wave lapping at the shore. Croker turned his wheel abruptly but hit the bike with a glancing blow. Croker, his riding mechanic Alexander Raoul, and Stanley were tossed from their machines. Raoul was killed instantly as the Simplex, tumbling like a boulder, rolled over both he and Croker. Croker was taken to his hotel room and doctors were initially hopeful for a recovery. By the next morning he was in a coma and died within hours. Croker’s passing generated headlines. As the son of former Tammany Hall boss Richard Croker, the family was well known in New York. The elder Croker was a notorious character whose wealth was largely attributed to taking bribes from brothels and gambling syndicates as well as engineering elections. Richard Croker’s return to New York for his son’s funeral sparked controversy and raised questions about Frank’s substantial estate of $400,000. 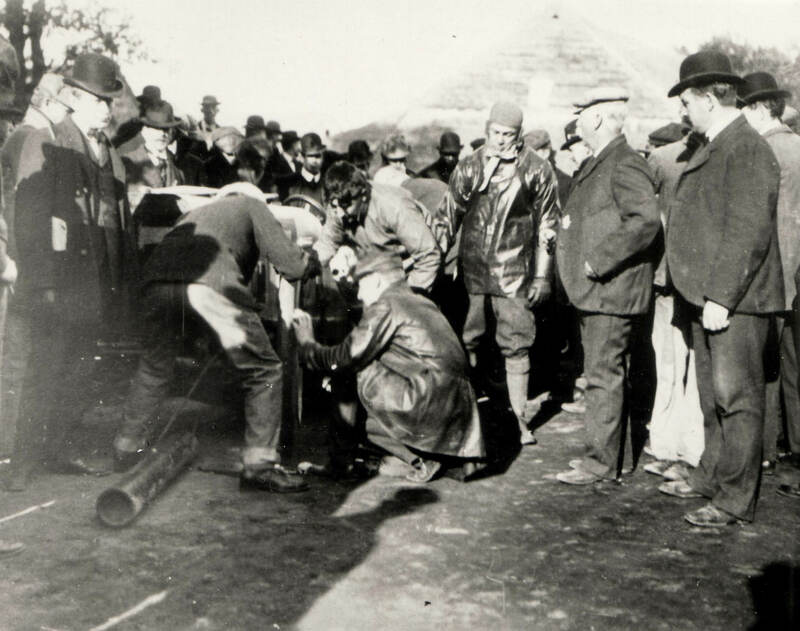 Much of this was quelled by John Fox, president of the New York Democratic Club, who asserted the young man had acquired the fortune through his own labors. Frank Croker was a successful businessman. His company Roebling Construction Company held construction contracts from customers across the nation. He was only 27 years old when he died following his passion for speed. 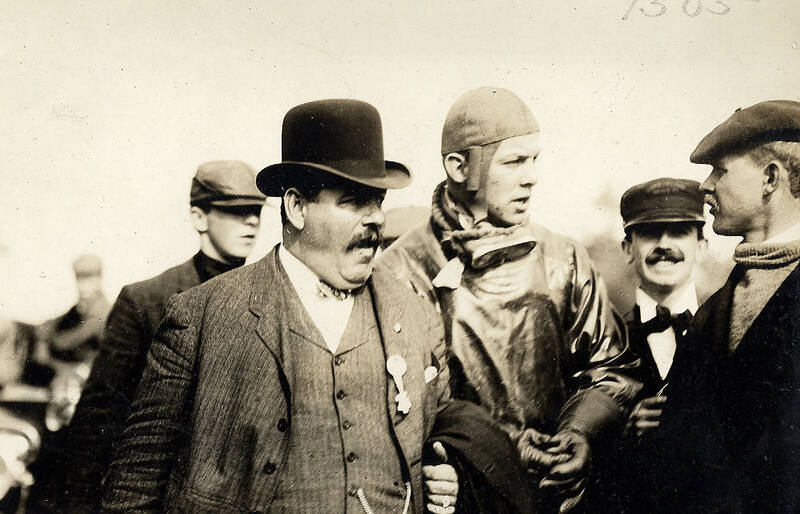 In addition to Frank Croker, his riding mechanic, Alex Raoul, was killed in the accident. Raoul was employed by Smith & Mabley Simplex. He came to the U.S. in 1904, and brought his wife, Margaret, to the U.S. later that year. Is the car’s number 12, or I2? I suspect that it is twelve instead of roman numeral I, two.